NSS pioneered the organization of the ICCS, part of the international programme organized by Ocean Conservancy, which has now been located at the Raffles Museum of Biodiversity Research, NUS. The ICCS involves mangrove cleanups and beach cleanups on two successive Saturdays in September, with all trash collected itemized, categorized and weighted, and the information sent to the Ocean Conservancy organization to be part of the international documentation. Focusing on the same area as the Horseshoe Crab Rescue & Research Programme, NSS now clears up and documents the trash collected at the Mandai Mudflats annually on the nearest convenient Saturday afternoon to ICCS dates and contributes the information on garbage collected to ICCS and Ocean Conservancy data. 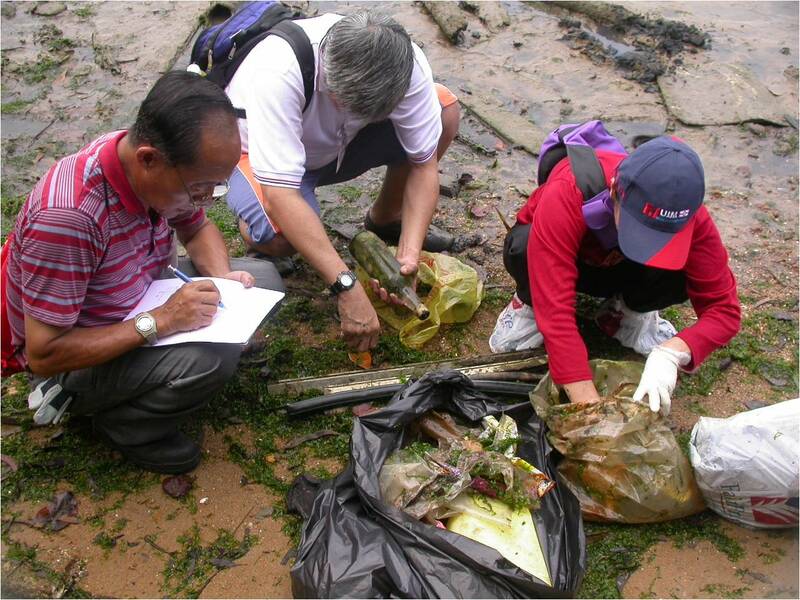 In 2009, 75 participants worked in the sticky and slippery environment on the afternoon of 5th September at low tide to clear from the rich biodiversity habitat 33 bags of litter and many assorted items too large to bag. In all the items of trash collected weighed 600.5 kg, although unfortunately this did not cover the full amount of trash on the mudflats. Tide times only allow a small window of time for collection. In 2010, the NSS team utilized the low tide time between 4pm and 7 pm on Saturday September 25th for their participation in the ICCS. In all, 80 trash bags and assorted large building materials and car parts weighing 648.5 kg were cleared from a 150m stretch of mangroves at Mandai.